What's this? 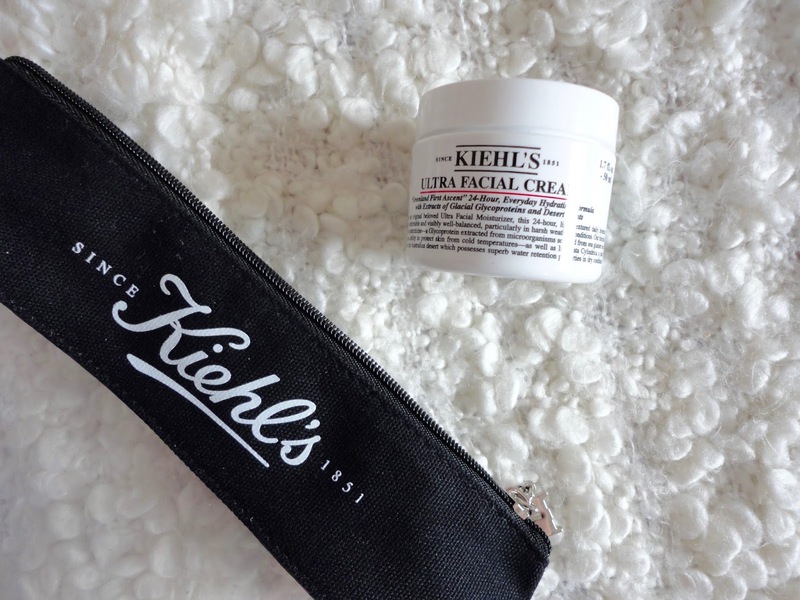 After my Kiehl's blogger event a few weeks ago, I've been giving their Ultra Facial Cream a good go, and as I've been using it for around 3 weeks now, I thought I'd do a quick check-in and share my thoughts! The cream claims to be super hydrating, keeping moisture in the skin with continuous moisture replenishment throughout the day. Where do I get it? It's £24 from the Kiehl's site here, or also John Lewis, Feel Unique, House of Fraser or Space NK. The Pros... This cream is super thick - I've been using at nighttime only (mainly because I love my Origins GinZing for the morning) and I only need to use the tiniest bit, so this pot will definitely last me a while. Whilst it's thick, it's definitely not heavy on the skin and it sinks in pretty nicely. It definitely leaves my skin feeling nice and hydrated - I've not had any issues with dry patches since using this. It doesn't have a scent, which I think is nice because an overpowering scent can really put me off using a product. Kiehl's is also a top pick for lots of celebs! The Cons... Obviously, it's not cheap. But to be honest, I really do think it's important to invest in good skincare and it's definitely not half as expensive as some of the products out there! Plus, as I said, you only need to use the tiniest amount so it'll last you a good while. My only other con is that when I first started using it, I did get a few spots coming up - but I really think this is just because it's a brand new product on my skin and sometimes using a new product can make your skin breakout a bit before it settles down. Now I've been using it for 3 weeks or so, I no longer have any issues with spots from this so it's really only a temporary con! What do you think? Have you tried anything from Kiehl's? Let me know in the comments!